Last month Xiaomi launched the much awaited Redmi Note 4 which is the successor to the Redmi Note 3, which was highly appreciated by many in the market. The device was launched in China at an exciting price and as usual, it packs some interesting specs for the price. Now the company has launched the device in Taiwan at an event which happened on 27th September. The smartphone is launched in the market at a price of NT$5,999 which roughly translates to about 13,000 INR. The company reported that they sold over 400,000 Redmi Note 3 in the Taiwan market since the date of the launch. Hence they are expecting the same to happen in the Taiwan market as well. The specs of the device all remain the same which is quite impressive for the price. The most noticeable change here this year is the Dual Rear camera. Stay tuned for more info on this. Earlier: Xiaomi, the Chinese brand that has taken over the world with its affordable handsets has launched yet another marvelous smartphone. 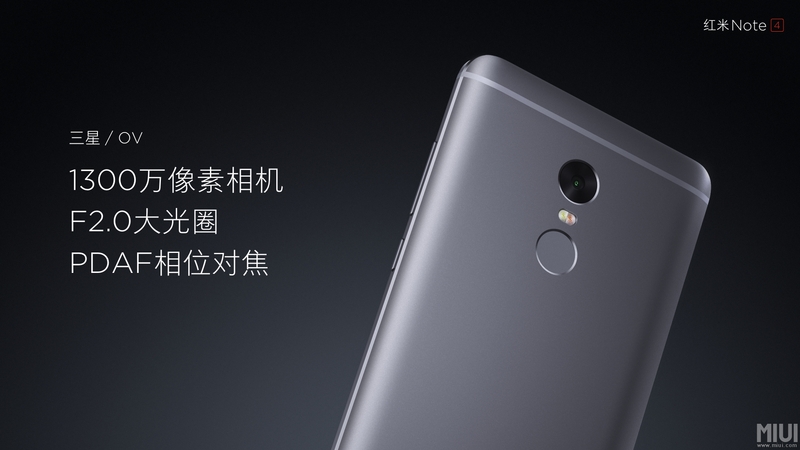 The brand has officially unveiled its much-rumoured handset, the Redmi Note 4. It is being touted as the successor to Redmi Note 3, which was launched late December last year in China, later in March this year in India. The Redmi Note 4 sports full metal body design, unlike its predecessor, which had some plastic build as well. Looking at the aesthetics, it does look like the Redmi Note 3 but has a shiny metal finish. Moreover, the company touts its sturdier than ever. As we recall, old model had low-grade metal construction. The device has a 2.5D arc glass on the front side, which makes it easier to operate and give soft feel as well. Talking about the specifications, it is powered by a Deca-core Helios X20 processor, which is a MediaTek chipset clocking at 2.1GHz. It is manufactured using 20nm process technology. It has a high density 4100 mAh capacity battery, which is quite similar. On the camera front, it has a 13MP module on the rear side that promises professional-grade camera outputs. While there is a 5MP shooter for selfies. The device would come out of the box with MIUI 8, which is the latest version from company.In terms of the connectivity, the device supports 4G LTE Cat 6 as well as VoLTE, which is voice over LTE network. There is a 5.5-inch full HD screen at play here, which is touted to be brightest in class. They’re various types of modes such as Sunscreen, Luminous screen and Eye mode for your various needs. Note that there would be two variants of the device, one comes with 2GB RAM and 16GB internal storage, which is the standard edition. While there is a Higher Version, which will pack 3GB of RAM and 64GB of internal storage. The storage can be expanded up to 128GB via microSD card slot. As far as the pricing is concerned, the standard edition is available for 899 Yuan, and Higher version is priced at 1199 Yuan. It would be available in three color variants that includes dark gray, gold and silver.